Ladies and gents, Valentine’s Day is right around the corner — so I hope you have something planned for that special someone in your life. If not, I have a few healthy ideas for your special day with your valentine. These suggestions might get you thinking outside the box (of candy, chocolate, cookies). I will also list some healthy activities that you can do together. 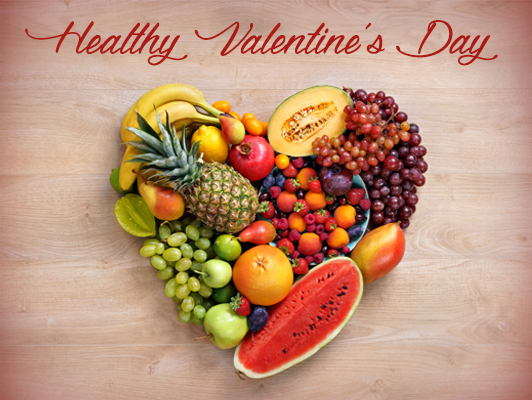 Does your sweetheart have a favorite fruit or healthy snack? Give them a basket on Valentine’s Day. Give it some character by adding a cute quote on it using a label or a sticker. If you have little ones in school, some of these ideas also make great gift baskets for teachers. The typical Valentine’s Day revolves around food and a lot of sitting down — maybe at a fancy restaurant, and don’t forget about the driving. Why not change it up this year and add some movement? After all, you and your valentine are on a journey together. Pittsburgh Zoo and Aquarium – The zoo will be open from 10 a.m. to 5 p.m. that day. Why not spend quality time with your valentine and check out some of the different animals in the zoo? You will get your steps in with some nice challenging hills to walk. Phipps Conservatory – This is a great place for a date. You will be protected from the elements in case Mother Nature is not cooperating — and you’ll be able to enjoy a variety of displays and species of plants. Ice skating – There are a few ice skating rinks in the Pittsburgh area. Choose a location and lace up your skates for a fun day. Skiing or snowboarding – If you have a very adventurous valentine, take them out on the slopes and enjoy your day cruising down the mountain. Skiing and snowboarding will work all kinds of muscles and leave you feeling it the next day.